Everyone always strives to find fast ways to earn some extra money every month. In the end, who doesn’t love some extra cash to spend on a new pair of shoes or a wonderful dinner with our hubby? Today I want to talk about something many of us aren’t aware of, which is reward programs, especially those with cashback rewards. The higher your balance and the faster you pay, the more rewards you will get. Here’s a very straightforward example. Discover offers a credit card with 5% cash back everytime you use it when you put gas in her car. That could give you a solid extra income into your checking account at the end of each month. Let’s assume you drive to work and your daily commute is 30 minutes. That means you probably get gas at least twice a week, so at the end of month you can earn solid cash back in your wallet. Who doesn’t love that? According to the educational website Credit Card Insider, “when used responsibly, rewards cards are a great way to receive discounts and other benefits just for making the purchases you would normally make.” The 5% cash back from Discover I mentioned above is active on rotating categories. From April through June card owners will earn 5% cash backs every time they pay the check at a restaurant with their credit card. I know that having dinner at a restaurant is definitely more expensive than cooking in your kitchen, but if you like to eat out, signing up for a dining rewards program can make the extra expense worth. I found rewards programs a really cool idea to earn extra money so I’ve been learning more about which credit card offers the best rewards based on my lifestyle. According to this article from US News - Money, “people are spending on cards again”, and to be honest I’m not surprise. Life is expensive so we are forced to spend money. Consequently, choosing a credit card that eventually rewards us could be a smart move. Long story short, when you choose a rewards credit card, don’t just focus on interest rates and terms. You should find a card that offers you the type of rewards you are most likely to use. Making extra money is always a bonus. Think about your lifestyle, your habits, your daily routine. The better you think about those things, the higher rewards you will earn! Personally, I own now one credit card with a very minimal credit limit. And what I like most about this card is the rewards it could bring to the table. Although these are tiny rewards, but having a free meal from a fastfood establishment is not bad. This can help alleviate little expenses. At least you can be able to save up on some expenses. However, owning a credit card is a double edge sword. This can either help you or not. Wise usage of it is deemed essential. You might end up in debt if you don’t know how to manage your swiping. Remember use a credit card only if necessary such as emergencies and buying the essentials. 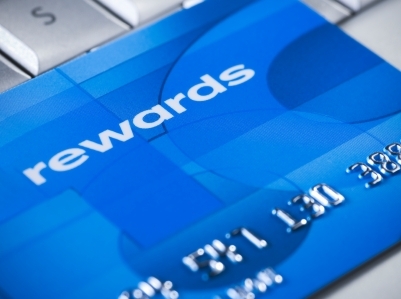 More than its rewards, credit cards are far more rewarding if used intelligently. P.S To those doing the 52 Week Money Challenge, it is Week 12 already! Did you deposit the next amount yet?